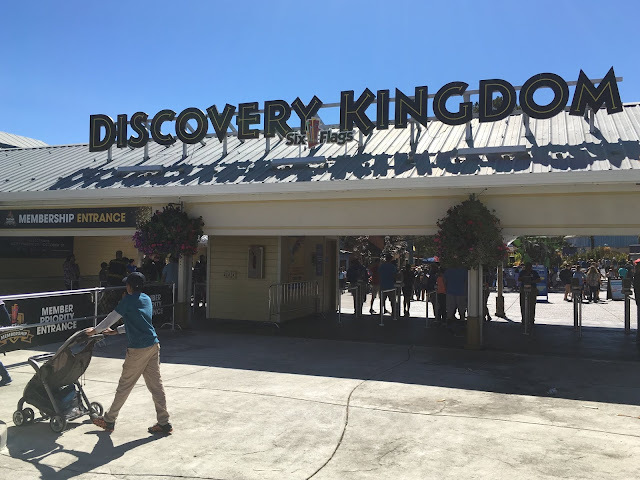 Today we head to Six Flags Discovery Kingdom to check out what's new at the park! We give a full review of the new for 2018 Harley Quinn Crazy Coaster, peek at construction for the new Big Belly Burger DC-themed restaurant (And possible DC Comics area retheme), and so much more! Today was also the final operating day before Fright Fest 2018 officially kicks off, yet the park was still absolutely packed! 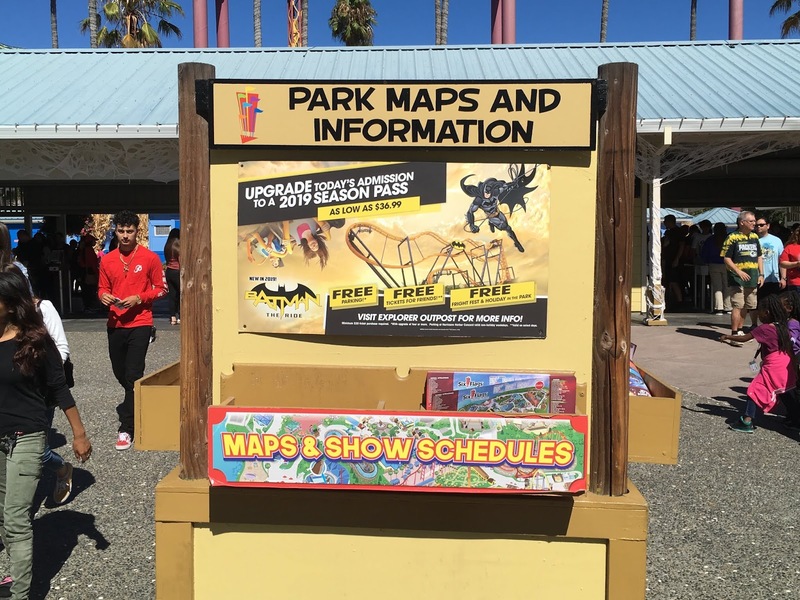 Promo signage for Batman: The Ride, Discovery Kingdom's new coaster for 2019, has sprouted up all over the park. Fright Fest 2018 is just days away! Looks like the Nightmare Manor maze is just about ready to go! 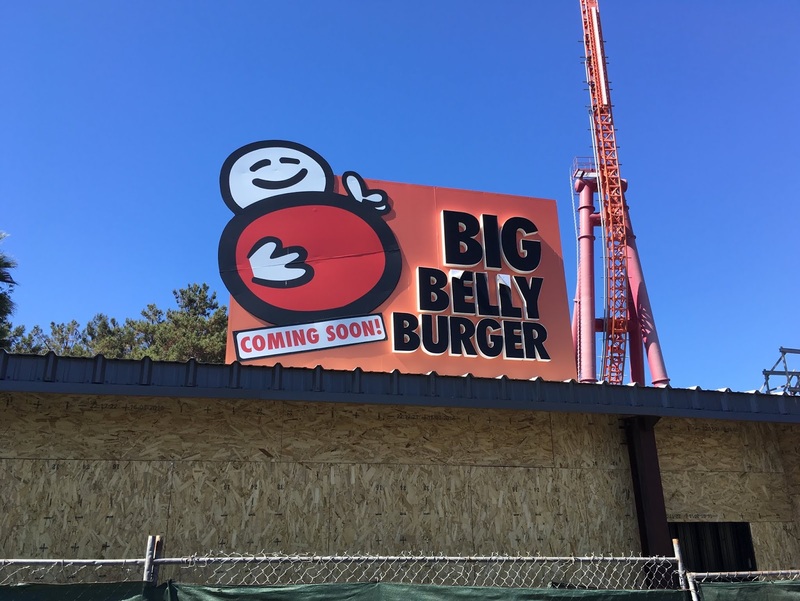 Moving on, the previous Montego Bay Market is being transformed to the new Big Belly Burger DC-Comics themed restaurant. Burgers, fries, and milkshakes will be served once this new dining establishment opens. The restaurant was actually slated to open for the 2018 season, but it appears that the park is running a little bit behind. Peeking over the fence, much of the previous structure from Montego Bay Market has been repurposed. Hopefully the park will build some new shaded dining spots to go with the location. Also, a new "Hero Refueling Station" drink stand has been built right across the pathway. With all of these additional DC-Themed attractions being added, we must again revisit the question: Will Six Flags finally make this section of the park a DC Comics "Metropolis" themed area? Superman: Ultimate Flight, Wonder Woman Lasso of Truth, The Joker, The Penguin, Harley Quinn Crazy Coaster, and the upcoming Batman: The Ride are all sandwiched right next to one another in this area. With the new drink stand and Big Belly Burger restaurant, it appears that 2019 may actually bring a retheme. The only other non-DC attraction in this area is V2, which could easily be rethemed into a character like "The Flash". 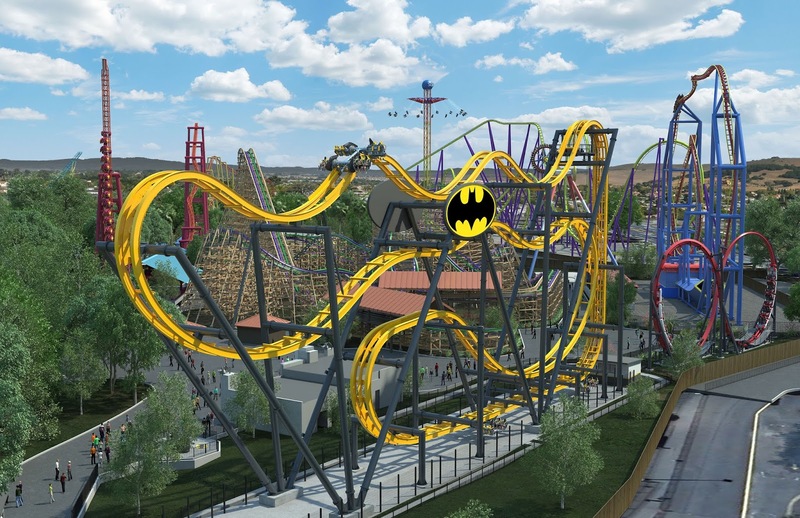 Other Six Flags parks have recently made the transition, and 2019 may finally be the year! Now, it's Harley Quinn time! Keeping with other DC park attractions, some backstory boards have been erected in the mini queue line. 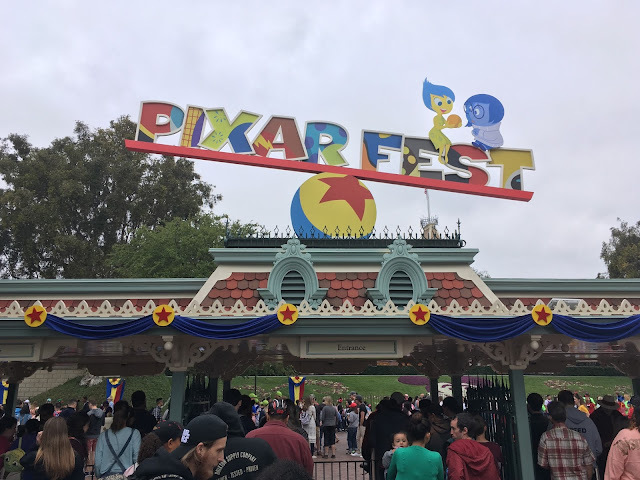 Even though the park was absolutely packed today (With Harley Quinn holding a consistent 60 minute line), only one of the ride's dual 16 train cars was being used. 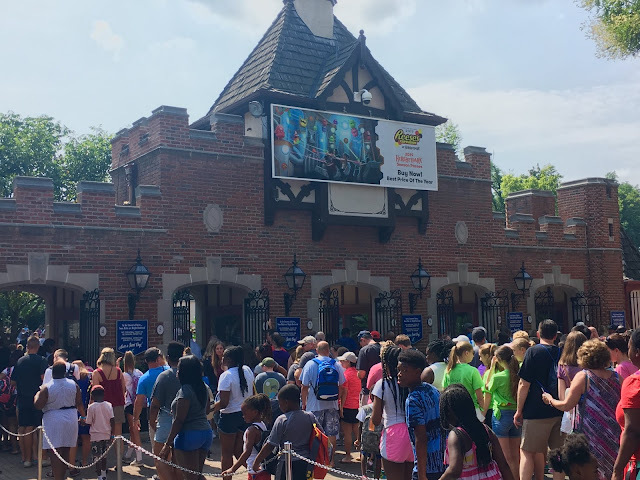 The likely culprit is staffing issues, but regardless, the ride's even lower capacity was not doing anyone a favor. As for the ride experience itself: I am a little mixed. The concept is interesting, as a unique dueling ride in such a compact footprint is impressive in itself. But, this Skywarp prototype just wasn't perfected enough to be ready for market. The attraction is already quite rough, despite the fact that it opened fewer than two months ago. It jolts and cranks riders at both high and low speeds, and features moderately uncomfortable restraints that make the experience even worse. This attraction has so much potential, and truly is an innovative yet affordable offering for all amusement parks. Hopefully the good folks at Skyline Attractions can continue to work and perfect this attraction! 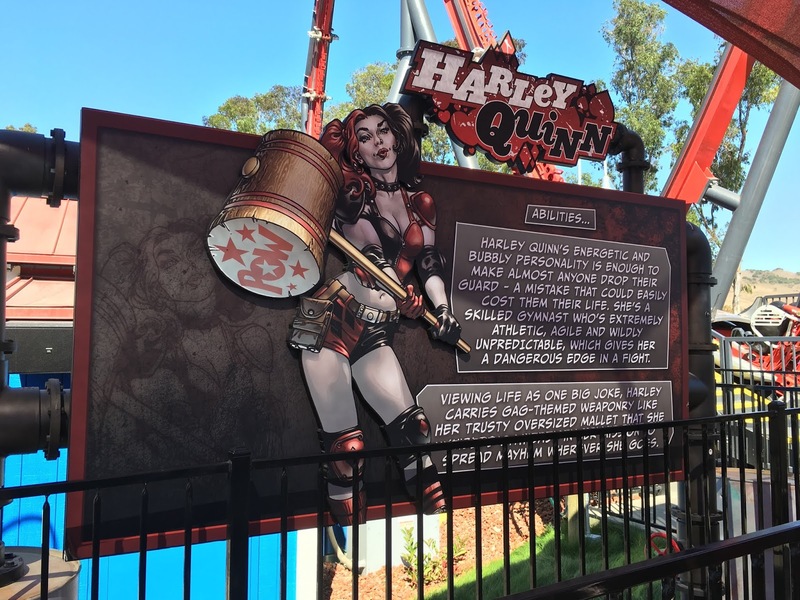 Stepping back, Harley Quinn will get a new neighbor next year when Batman: The Ride opens up. For reference, here is the backside animation for the new coaster. The existing Go-Karts will close in the near future so construction can begin. Moving to the back of the park, VooDoo is still sitting dormant. The ride has been closed for over a year, with no update from the park. Only time will tell what this Huss Top Spin's fate is. 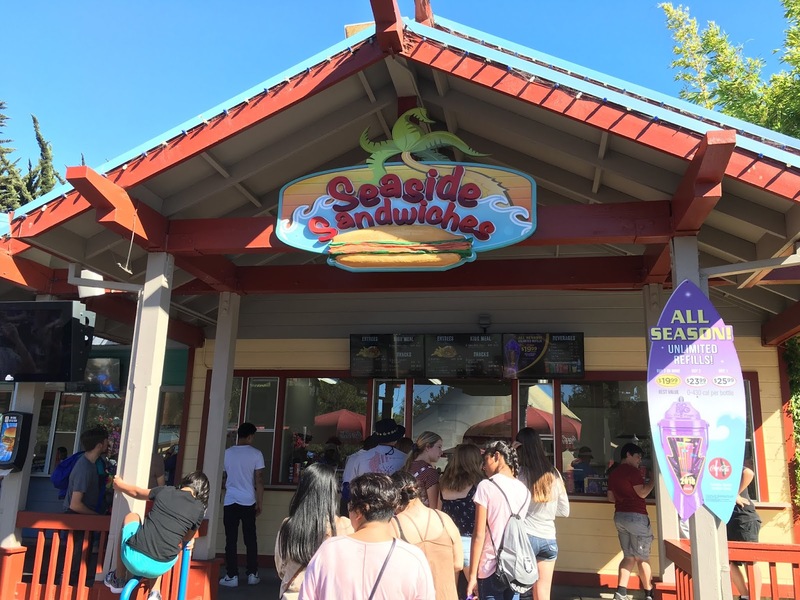 Finally, the park's newest dining establishment Seaside Sandwiches held a steady line during lunchtime in the food court. Always good to see Six Flags investing in other areas in addition to rides!